Choose the path that takes your fancy gourmet and bon appetit! The culture born of the earth. Good wine, good olive oil ... and good taste! Catalonia is a land of contrasts, earth-bound culture, and its rich cultural diversity makes and gastronomically. We discover the secrets of the development of oil and wine, the aromas lost medieval cooking, the outdoors calçotadas and delight in each region. "Calçots", and wine and combinations! We start the morning by a guided tour of the historic center, a meal home for lunch and afternoon visit to a winery. 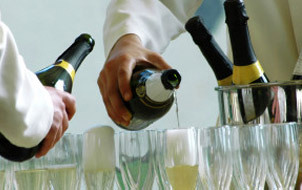 Take the opportunity to enjoy a stay in the Penedès complete all meals included two tastings of wines and champagnes. The activity includes a visit to a winery with wine tasting and a fantastic meal with a menu to taste the wonderful cuisine of the earth! Visit cellars, tasting and guided tasting of wines and sparkling champagne Anoia. Sleep in a hotel with charm and taste typical Spanish cuisine. 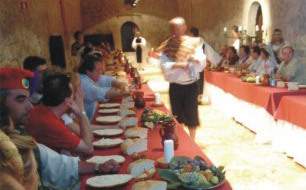 Celebrations and parties with different medieval dinners! Come with your group or family to hold the meetings in a different way, with setting and costumes. We offer the decoration of the rooms according to the time chosen, clothing for all attendees, and atmosphere and entertainment during the day. The quality of meat products is ensured. Here are a selection of restaurants and catering services in our country. We offer all kinds of catering services in the area searches, both to individuals and companies. See here the hidden places and the most curious of our country. Charming villages and resort towns worth visiting. Here are the best routes, activities and events for day trips or weekend.